Sadly, we lost Magnum in August (2017). We were proud to have this prepotent male in our herdsire row for the past 5 years. Magnum will truly be missed, but we were fortunate to birth the last of his line in September with one LF male and one LF female... the legend continues. From White to Black, Magnum lets the Dam's color pass. 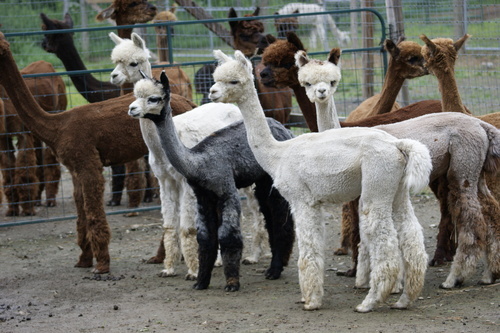 Magnum's cria are earning banners and blues at very competitive east coast shows in all colors! Magnum is producing fine color!! So far his offspring are covering the color of the dam, including black, dark brown, white, light fawn and silver grey!! Their fleeces are incredibly soft, buttery and bright!! Come take a look at these beautiful babies! El Duro's Principio. Proven genetics! 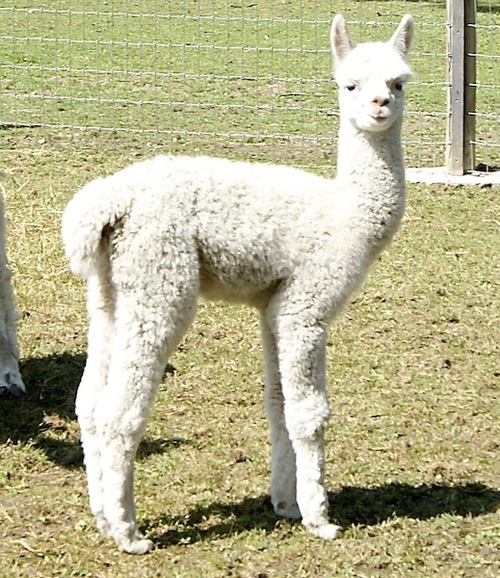 Contact us or Long Acres Alpaca Farm to schedule a breeding and add these proven genetics to your herd. 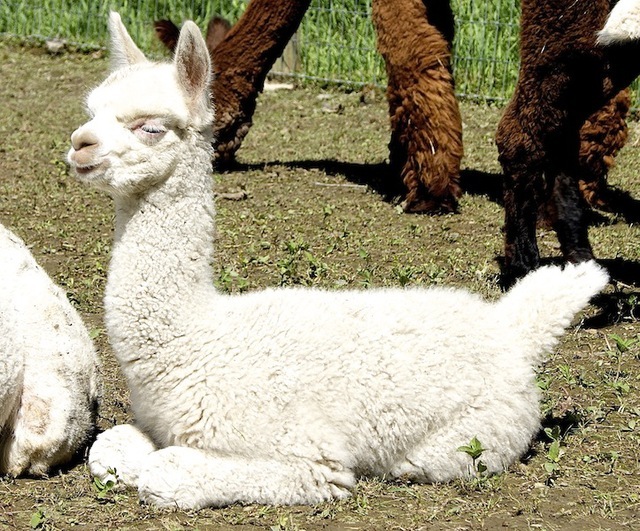 Proudly co-owned with LONG ACRES ALPACA FARM! Bianca's sire is the multi champion, award winning El Duro's Magnum, a male who carries a highly advanced, elite bundling, consistent and dense, fleece with a high amplitude crimp style. This is the fleece that Magnum has passed on to this little girl. On Bianca's Dam's side is MFI Diplomat, and Peruvian Vengador, the list goes on. Bianca, carries a fleece that is dense, bright and soft. Her bundling crimp style and staple length are what stands out when you look at her. Correct conformation, bite and strong straight legs, consistent and overall coverage make this girl a future foundation female. Since Magnum's passing, this girl may become part of our foundation herd. 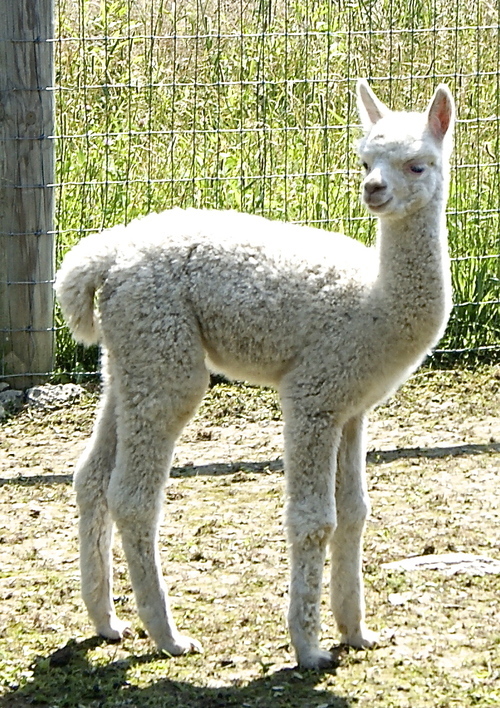 She is currently bred to Tartan Acres Gavin, with genetics from MFI Astrovine, MFI Donovan, PPPeruvian Kenamori Gold, and Peruvian Vengador, Accoyo 4Peruvian Cronus, Accoyo PPPeruvian Dracula, Accoyo PPPeruvian Mr. President, MFI Accoyo Desert Sunshine, Accoyo Desert Flower, PPeruvian Epifania (dam of Equador, Accipiter and Jeronimo), and Accoyo PPPeruvian Desert Velvet. Take advantage of this opportunity to add these genetics to your herd before I change my mind. Add a breeding to any CSAF herdsire and this is a steal.